Kris D. Gutiérrez is Professor of Language, Literacy and Culture. She was most recently a professor of Learning Sciences/Literacy and the Inaugural Provost’s Chair, University of Colorado, Boulder and Professor Emerita of Social Research Methodology at GSE&IS at UCLA. Professor Gutiérrez is a national leader in education, with an emphasis in literacy, learning sciences, and interpretive and design-based approaches to inquiry. Gutiérrez is a member of the National Academy of Education and is the Past President of the American Educational Research Association and the National Conference on Research on Language and Literacy. Gutiérrez was appointed by President Obama and confirmed by the U.S. Senate as a member of the National Board for the Institute of Education Sciences where she served as Vice Chair. 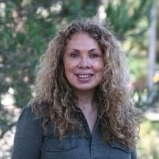 Gutiérrez has received numerous awards for her empirical work, including the 2014, Distinguished Contributions to Social Contexts in Education Research – Lifetime Achievement Award and the 2014 Henry T. Trueba Award for Research Leading to the Transformation of the Social Contexts of Education, (Division G, AERA), the 2005 AERA Division C Sylvia Scribner Award for influencing the field of learning and instruction. She was a Fellow at the Center for Advanced Studies in the Behavioral Sciences, an AERA and NEPC Fellow, and an Osher Fellow, Exploratorium Museum of Science. Gutierrez received the AERA Hispanic Research in Elementary, Secondary, or Postsecondary Education Award and the Inaugural Award for Innovations in Research on Diversity in Teacher Education, Division K (AERA). She served on the U.S. Department of Education Reading First Advisory Committee and a member of President Obama’s Education Policy Transition Team. Professor Gutiérrez was also identified as one of the 2009 Top 100 influential Hispanics.